Yes, they can make a difference when used consistently. They have made a difference for wise women and men of myriad traditions for centuries. They can make a difference for you. particularly those using Western herbs rather than herbs used by practitioners of Traditional Chinese Medicine, have a cumulative effect and are generally safe to use. 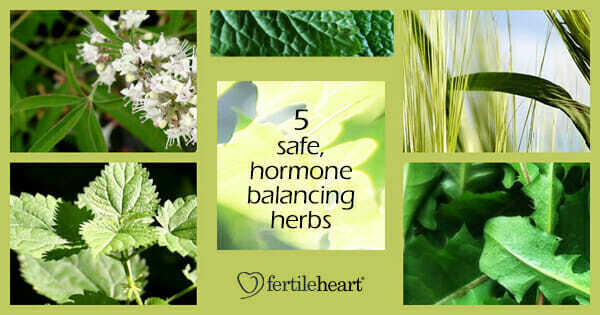 Having said that, pay careful attention to your body’s response to all fertility remedies including herbs and discontinue if you notice an adverse reaction. Click here for a quick tutorial on making an herbal infusion. Most health food stores carry a selection of the commonly used herbs. 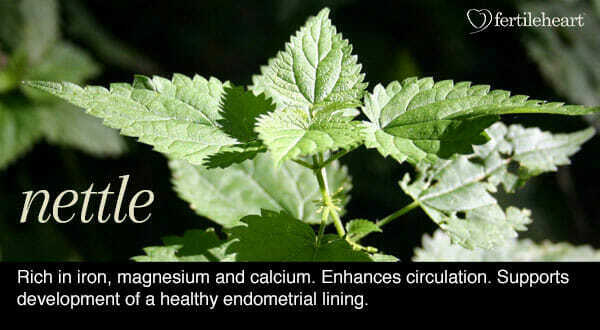 Nettle – Urtica Dioica Nettle is one of my favorite fertility and health boosting herbs. Rich in iron, magnesium and calcium, it enhances circulation and as a blood builder and anti-inflammatory agent supports a development of a healthy endometrial lining. Drinking a cup of nettle, or dandelion, etc. tea which you have made with a tea bag, does not have the medicinal effect of an herbal infusion. So, if you want to truly nourish and balance your reproductive system, do yourself and your gorgeous body a favor and make an infusion. 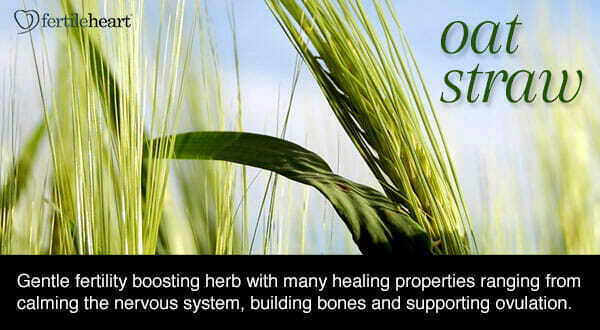 Oat Straw – Avena Sativa is another gentle fertility boosting herb with many healing properties ranging from calming the nervous system, building bones and supporting ovulation. 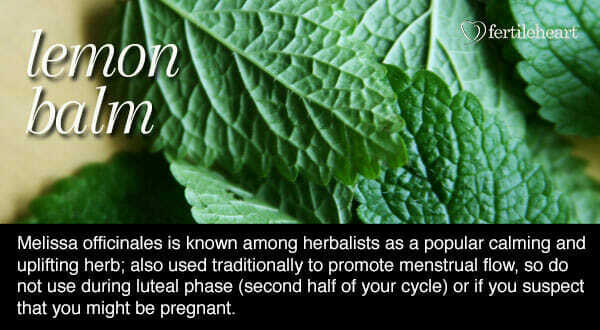 Lemon Balm – Melissa officinales known among herbalists as a popular herb for increasing menstrual flow and delayed menstruation. It is also effective for relieving nausea. Chasteberry – Agnus Cactus is a well loved herb for regulating hormone function, repairing the delicate estrogen-progesterone balance, and nourishing the entire endocrine system. Rather than increasing a specific hormone, Vitex helps the body gently return to its own balanced state. The preferred use among herbalists is in tincture form with a 30-50 drops of tincture 3 times a day. 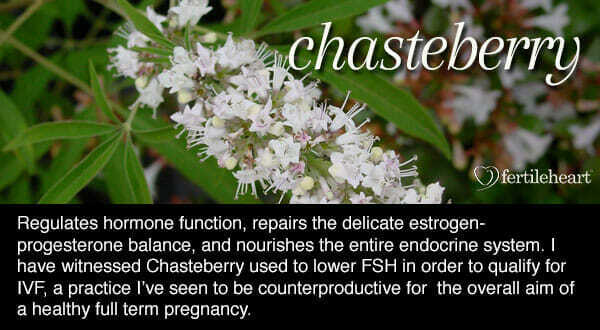 The idea of using Chasteberry to lower FSH levels in order to qualify for IVF, is as far as I have witnessed, a misguided use of this herb. 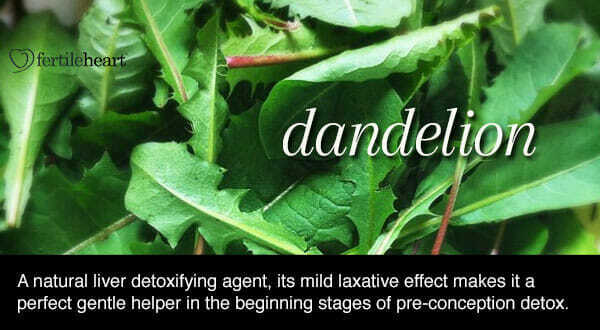 Dandelion – Taraxacum Officinale is a natural liver detoxifying agent, and since the liver is one of the organs that not only helps process estrogen but is the body’s main cleansing station, dandelion is a definite fertility friend. Its mild laxative effect makes it a perfect gentle helper in the beginning stages of your pre-conception detox. For making a medicinal herbal infusion follow the quick tutorial. You can also start by buying a high quality roasted dandelion root tea in any health food store and steep for 10 minutes. Making an herbal infusion is the easiest thing in the world. Click here for a quick tutorial. Also see the food and supplement related chapters in The Fertile Female or check out other fertility books for additional inspiration and information.